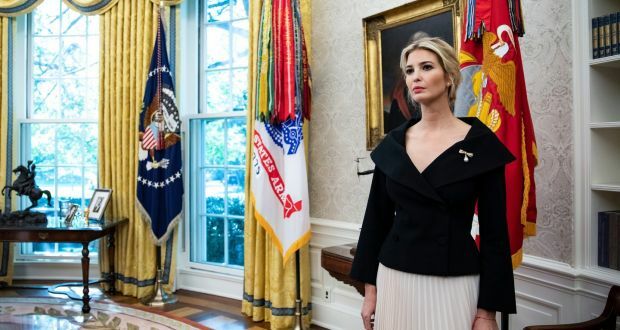 Washington sources reported that Ivanka Trump has tamped down the suggestion her father could be poised to tap her as UN envoy, after President Donald Trump said she would make a "dynamite" replacement were it not for nepotism concerns. Ivanta tweeted "It is an honor to serve in the White House alongside so many great colleagues and she knew that the President will nominate a formidable replacement for Ambassador Haley. That replacement will not be her". Meanwhile hours earlier, her president father abruptly announced the resignation of Ambassador Nikki Haley, who in a surprise move will step down at the end of this year. Trump told reporters at the White House, without ruling out hiring his daughter "We are looking at numerous people". Ivanka would be dynamite and there is nothing to do with nepotism. But he wants to tell you, the people that know, know that Ivanka would be dynamite, but, you know, he would then be accused of nepotism." Moreover Trump has raised eyebrows with his blurring of the lines between relatives, family businesses and official duties since he was elected in 2016. Furthermore Ivanka and her husband Jared Kushner both work in the White House as high level unpaid advisers. Among other duties, Kushner, an Orthodox Jew, is tasked with creating a Middle East peace plan.